Whether you’re craving apple, chocolate, pecan, or an easy no-bake pie we’ve got the recipe for you right here in this collection of the 50 best pie recipes ever. Some are super easy, some are a little more challenging but you’re sure to find an old favorite or a new pastry addiction amongst these perfect pies and tarts from some of the best food blogs on the Internet. This post has been updated from the original March 2013 post. Last updated November 2018. Whether it is cherry, apple, coconut cream, or chess we all have favorite pie. My mother, as you may remember, did not like to cook. She was good at it when she did but it wasn’t her favorite thing to do. Well sir, you know what happened don’t you? Yep – dad was all of a sudden smitten with the house, too. 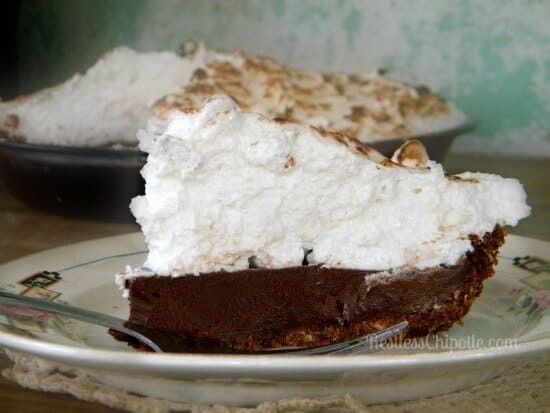 Here are 50 of the best pie recipes on the Internet, in my not so humble opinion. Peanut Butter Pie with Pretzel Crust – this is one of mine and has over 120,000 pins on Pinterest. I think that qualifies it as one of the best, don’t you? Not this time! I need to add it though – you’re right! What a list! Can’t wait to take a look at all of these. Wow, what a great list! I am honored to be on it with my Raspberry Pie. 🙂 sounds lovely, Dorothy. Thanks for stopping by. Thanks for the shout out! Blueberry and cherry pies are my favorites … and I have yet to blog about them!